April 11, 2012 - The National Transportation Safety Board (NTSB) provided an investigative update on Tuesday, on last year's crash of a highly modified P-51D airplane at the National Championship Air Races in Reno Nevada. On September 16, 2011, the pilot of the Galloping Ghost experienced an upset while turning between pylons 8 and 9 on the race course. The airplane crashed on the ramp in the box seat spectator area. The pilot and 10 spectators were killed and more than 60 others were injured. In addition to the investigative update, NTSB Chairman Deborah A.P. Hersman announced that the agency was issuing a total of seven safety recommendations to make the National Championship Air Races a safer event for pilots and spectators alike. "We are not here to put a stop to air racing," said Chairman Hersman. "We are here to make it safer." The safety recommendations address race course design and layout, pre-race technical inspections, aircraft modifications and airworthiness, Federal Aviation Administration (FAA) guidance on air racing, the effects of g-forces on pilots, and ramp safety issues. They were issued to the FAA, the Reno Air Racing Association (RARA), and the National Air-Racing Group Unlimited Division. While the investigation is ongoing, Chairman Hersman provided a detailed interim update that showed that the accident sequence initiated with an upset that preceded the separation of the left elevator trim tab by approximately 6 seconds. "Our investigation revealed that this pilot, in this airplane, had never flown at this speed, on this course," said Chairman Hersman. "We are issuing a safety recommendation to ensure that pilots and their modified airplanes are put through their paces prior to race day." Related findings from telemetry data showed that during the upset; the airplane exceeded the accelerometer's 9-G limit. While the investigation into g-forces and g-tolerance is ongoing, the photographic and telemetry evidence indicates that both the airplane and pilot experienced an unanticipated, rapid onset of high g-forces and appears to support pilot incapacitation. The fatalities and injuries in this accident draw attention to the course design and layout. The unlimited race course is designed for an average ground speed of 500 miles per hour. As pilots make the final turn toward the home pylon, the trajectory of the airplane is in the direction of the spectators in the box seats and grandstands. The NTSB has recommended that RARA review the current course and consider changes to lessen the exposure to spectators. Require aircraft owners in the unlimited class to provide an engineering evaluation that includes flight demonstrations and analysis within the anticipated flight envelope for aircraft with any major modification, such as to the structure or flight controls. Develop a system that tracks any discrepancies noted during prerace technical inspections and verifies that they have been resolved. Provide high g training to pilots, including techniques to mitigate the potential effects of high g exposure, as part of preparations before the Reno National Championship Air Races (NCAR) and during daily briefs at the NCAR. 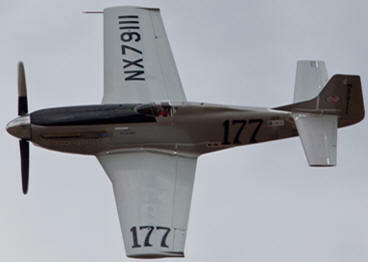 Reno National Championship Air Races; if the evaluation determines it is feasible, implement a requirement. Require aircraft owners, as a condition of eligibility to participate in the Reno National Championship Air Races, to provide an engineering evaluation that includes flight demonstrations and analysis within the anticipated flight envelope for aircraft with any major modification, such as to the structure or flight controls. Evaluate the design of the unlimited class course and safety areas to minimize maneuvering near and potential conflicts with spectators; if warranted by the results of the evaluation, implement changes to the race course. Take the following actions to raise the level of safety for spectators and personnel near the race course: (1) relocate the fuel truck away from the ramp area and (2) in front of any area where spectators are present, install barriers more substantial than those currently in place. Evaluate the feasibility of requiring pilots to wear g suits when racing at the Reno National Championship Air Races; if the evaluation determines it is feasible, implement a requirement.